Brian's funeral service will be held at Accrington Crematorium, Burnley Road, Accrington BB5 6HA. On 29th January in hospital, Brian aged 84 years. The dearly loved husband of Brenda, much loved dad of Susan, Jacqueline, Andrew and Adrienne, loving grandad to Graeme, Chris, Jordan and Layla, dear great grandad and uncle to his nephews and neices. Brian was born in Stratford in 1934 and moved all over Lancashire all his young life as his father was a policeman. He was evacuated during World War 11 to Blackpool from Widnes. He then moved to Burnley in 1944 and became a police cadet in 1950 before moving to Accrington and completing his National Service in 1952, serving in Egypt and Germany. Brian met his wife Brenda at the age of 15 and they married in 1955 and had two sets of twins Susan and Jacqueline, and Andrew and Adrienne. After his national service, he went to work at Howard & Bulloughs, later Platt Saco Howell, as cost accountant for 40 years. 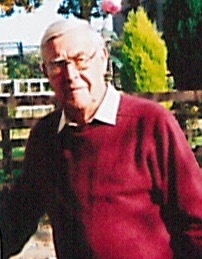 He was closely connected to Platt Social Club as committee member, concert secretary and chairman for many years. Brian was a keen walker and loved the great outdoors and supported Burnley Football Club since he was 14 years old. Family flowers only and donations may be made in memory of Brian to the Salvation Army and Derian House Children’s Hospice.